Jessica Hemmings writes and lectures about textiles. She studied Textile Design at the Rhode Island School of Design in 1999 and Comparative Literature (Africa/Asia) at the University of London’s School of Oriental and African Studies. Her PhD, awarded by the University of Edinburgh in 2006, is published by kalliope paperbacks under the title Yvonne Vera: The Voice of Cloth (2008). She has taught at Central Saint Martins, Rhode Island School of Design, Winchester School of Art and Edinburgh College of Art. In 2010 she edited a collection of essays titled In the Loop: Knitting Now published by Black Dog and in 2012 edited The Textile Reader (Berg) and wrote Warp & Weft (Bloomsbury). Her editorial and curatorial project, Cultural Threads, is a book about postcolonial thinking and contemporary textile practice (Bloomsbury: 2015) accompanied by a travelling exhibition Migrations (2015-2017). From 2012-2016 Jessica was Professor of Visual Culture and Head of the School of Visual Culture at the National College of Art & Design, Dublin. She is currently Professor of Crafts & Vice-Prefekt of Research at the Academy of Design & Crafts (HDK), University of Gothenburg, Sweden. Bryndís Bolladóttir a pioneer and a textile designer who runs a studio and a production company in Iceland. 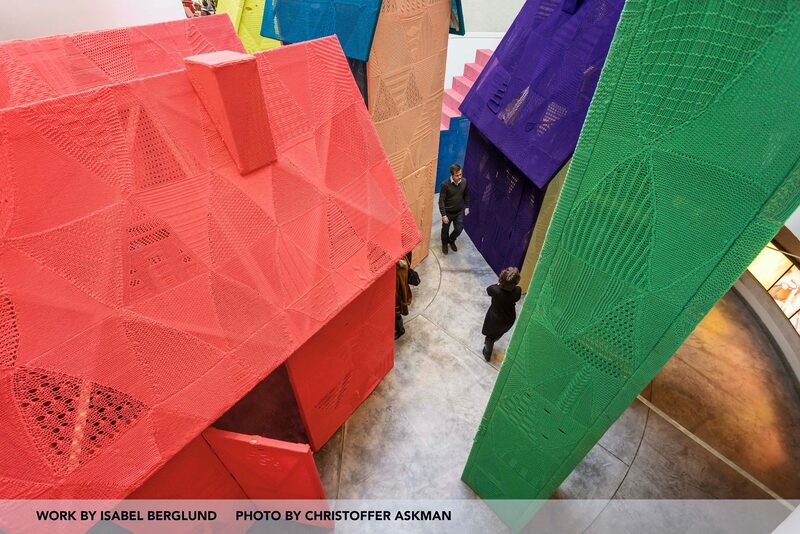 Bryndis works on the border between design and arts, and her inspiration is mainly from architecture and art. Playfulness plays an important role in Bryndís creations and characterizes her presentation and the endless possibilities of her ideas. Bryndís has focused on sound installations the last few years. Her goal has been to make functional design which increases the sound in the actual space but at the same time lets it play an important part in the architectural space. For her works she mainly uses Icelandic wool both as an inspiration and as the main material. She has won several prices for her work in Iceland and internationally. You can find her work in several public places in Iceland as well as abroad. Her base units, KULA & Lína are produced in Iceland and Italy. The base units have now been distributed in three continents. In order to continue working with seaweed as a material for design it was clear that it was necessary for her to undertake more serious research to find out how it could be processed in a sustainable way. Her main reason for using seaweed has always been to work with a natural material while avoiding using chemicals. “With nature all around us in Iceland it is the most natural thing to use what we already have at hand, in a “circular” way – to give back to nature what we take from it, that is the main challenge facing us all today. My vision is to give the coming generation the opportunity to work with nature in a sustainable and profitable way”. Her invention Rail Reed is an adjustable weaving reed allowing to change the warp density and fabric width while weaving. Stepping reed is an attachment to normal reed that enables to push weft yarn in waves while weaving. Together with Marilyn Piirsalu, Kadi has been giving Rail Reed courses in Estonia, Finland, Sweden and Netherlands. Railreed is used by inventive weavers in USA, Japan, Australia and Africa and Europe. Kiyoshi Yamamoto a Japanese Brazilian textile artists who lives and works in Norway. In his work flouts between material and concept and explores the relationship between colour and identity, activism and material experimentation. Kiyoshi graduated with a master’s from the Bergen Academy in 2013 and has already exhibited internationally and participated in diverse projects in London, Helsinki, Milan, Reykjavik, Riga and others places. His textile works have recently been acquired by The Norwegian National Museum for Arts, Crafts and Design in Trondheim, The National gallery in Oslo, KODE museum in Bergen and by the Norwegian Embassy in Brazil. Yamamoto is lately working in a series of large commission work for St. Olav Hospital in Trondheim Norway. Kiyoshi Yamamoto is also shortlisted to Sandefjord artist prize 2019. Nordic Textile Meeting in Iceland 2019 – Heritage meets the future. 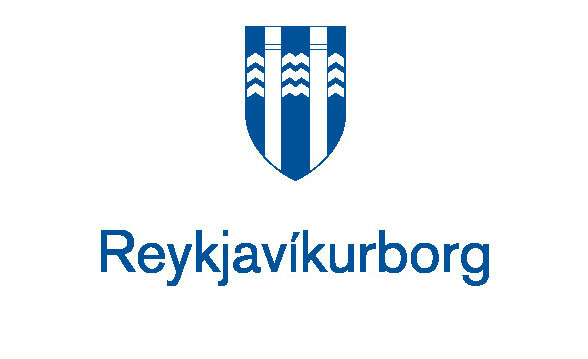 The conference is sponsored by Nordisk Kulturfund og city of Reykjavík.